In the far future, humanity's descendants scramble to survive in a solar system rife with conflict. Only the Tenno, a faction of powerful warriors, fight to preserve peace and keep the technological masterpieces of the long-dead Orokin out of the wrong hands. But when a faction of enhanced Grineer soldiers begin to scour the Earth for a particular hidden artifact, only a lone Tenno and a blinded girl can stop them. 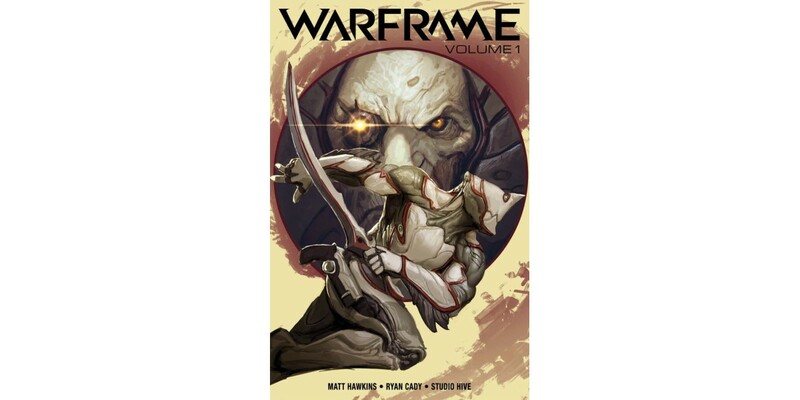 WARFRAME, VOL. 1 (ISBN: 978-1-5343-0512-0, Diamond code: MAY180094) will hit comics shops on Wednesday, July 25th and bookstores on Tuesday, July 31st. It can be preordered via Amazon, Barnes & Noble, Books-A-Million, Indiebound, and Indigo.